Friday, September 21, 2018 by: Isabelle Z. (Natural News) Solar power has a lot of benefits, but one big downside is the fact that places where it’s overcast more often than not can’t make the most of this clean power source. All that could be set to change, however, as scientists in often-cloudy British Columbia have found a way to use E. coli bacteria to convert light to energy. As the building blocks that make up solar panels, solar cells covert light into an electrical current. “Biogenic” solar cells made using living organisms aren’t a new concept, but this novel iteration sets itself apart by producing a very powerful current. Best of all, it works just as well under dim light conditions as it does on a bright, sunny day. In these cells, the bacterium’s dye is excited by light to a point where it releases electrons that generate electricity. The researchers say they were inspired by the dreary skies of British Columbia to find a more reliable way to supply clean energy as the Canadian province aims to become a leader in de-carbonized economies. He estimated that the process could reduce the cost of producing dye to just one tenth of its normal cost. If they ultimately can’t match the strength of conventional cells, they could still prove tremendously useful in low-light settings like those found in deep sea exploration or mines. In past attempts to create biogenic solar cells, scientists have tried to extract the natural dye used by bacteria for photosynthesis. This complex and costly endeavor uses toxic materials that could make the dye degrade, however. The Canadian researchers decided to try a different approach, leaving the dye inside the bacteria and inducing the organism to produce high amounts of lycopene. This dye, which can also be found in tomatoes and red fruits, is highly effective at harvesting light to convert into energy. Next, they coated the bacteria using a semiconductor mineral and applied it to a glass surface. The coated glass at one of the cell served as an anode for the current to flow, and they managed to generate a current with an impressively high density. 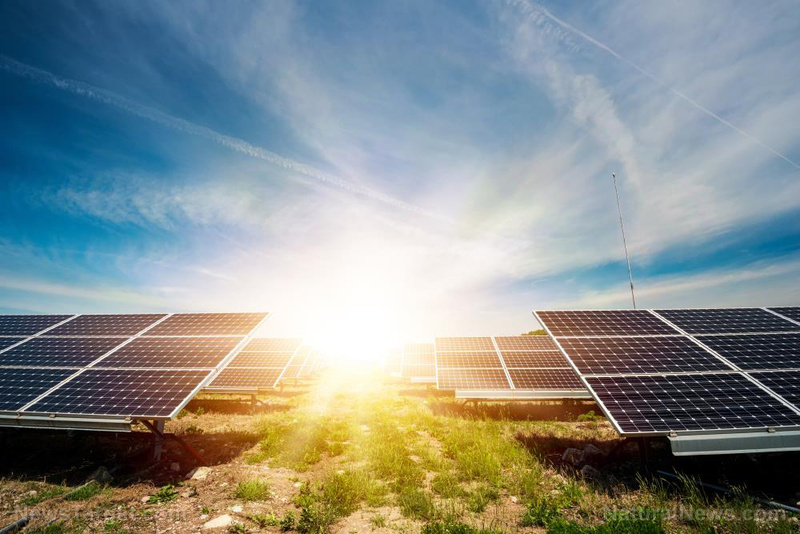 They were able to double the amount of electricity collected compared to other bacteria-based solar cells, although it still falls short of the amount needed to compete with traditional solar panels. As promising as this sounds, there are still some obstacles to overcome. One of the biggest roadblocks is the fact that the bacteria die during the process. If the scientists can find a way to keep them alive, they can manufacture the cells more efficiently as the bacteria will be able to continue producing the dye indefinitely. They’d also like to fine tune the cells to try to get enough power out of them to give conventional solar cells a run for their money. If they prove successful, the electricity used to run your home might one day be generated by bacteria.